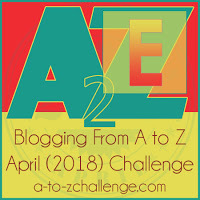 Welcome to my third year participating in the A-Z Blogging Challenge. This year’s theme is BOSTON. Today’s letter is E which will showcase Education. 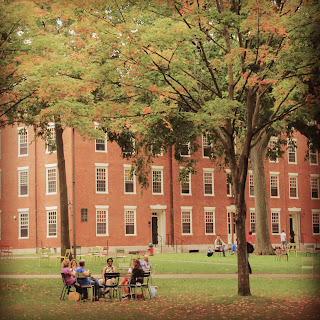 Boston is home to 35 colleges and universities … most notably Boston College, Boston University, Berklee College of Music, Massachusettes Institute of Technology (MIT), Tufts University, New England Conservatory of Music and… Harvard University. 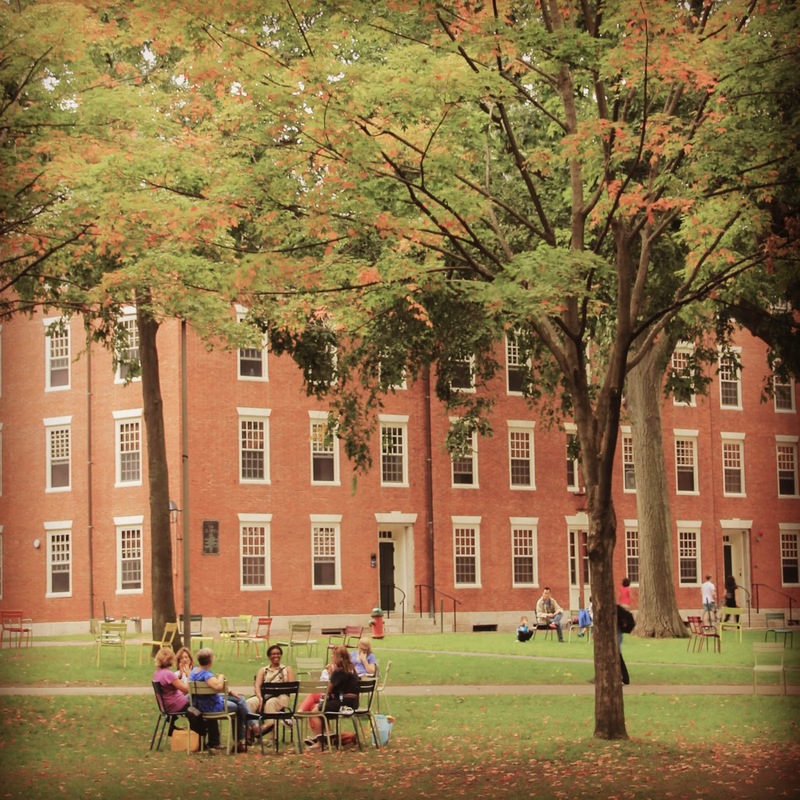 Harvard University – the creme de la creme. relished my time on campus as a visitor. writing the next great literary essay. rub his foot on the way to class for good luck. 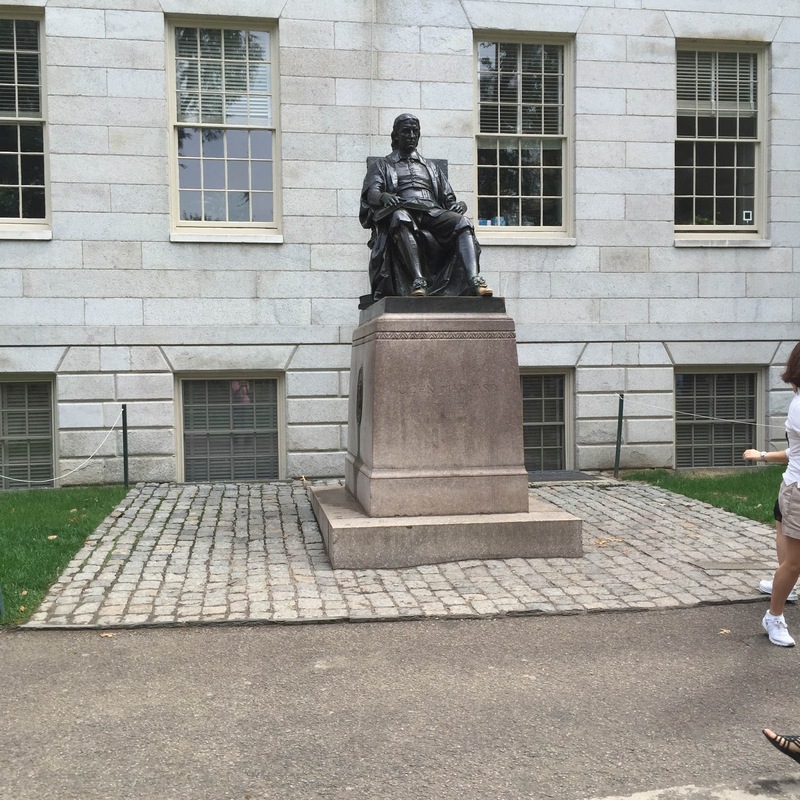 Each tour guide is a current Harvard student. questions about the rigor of an Ivy League education. That is a lot of educational institutions! Boston U was one of the places I was considering going to grad school at. 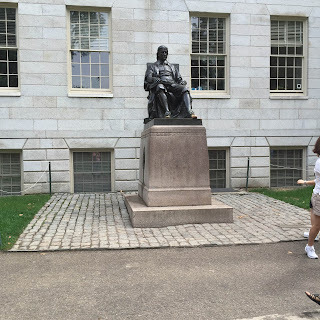 I walked around the Harvard campus when in Boston one year, but I really wish I'd taken a tour. 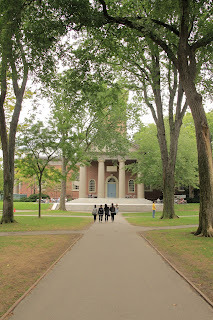 Every time I see any of the Harvard buildings, the movie Paper Chase comes to mind. Do you remember that one – the law students studying in the library until all hours? I loved that movie and wanted that life! 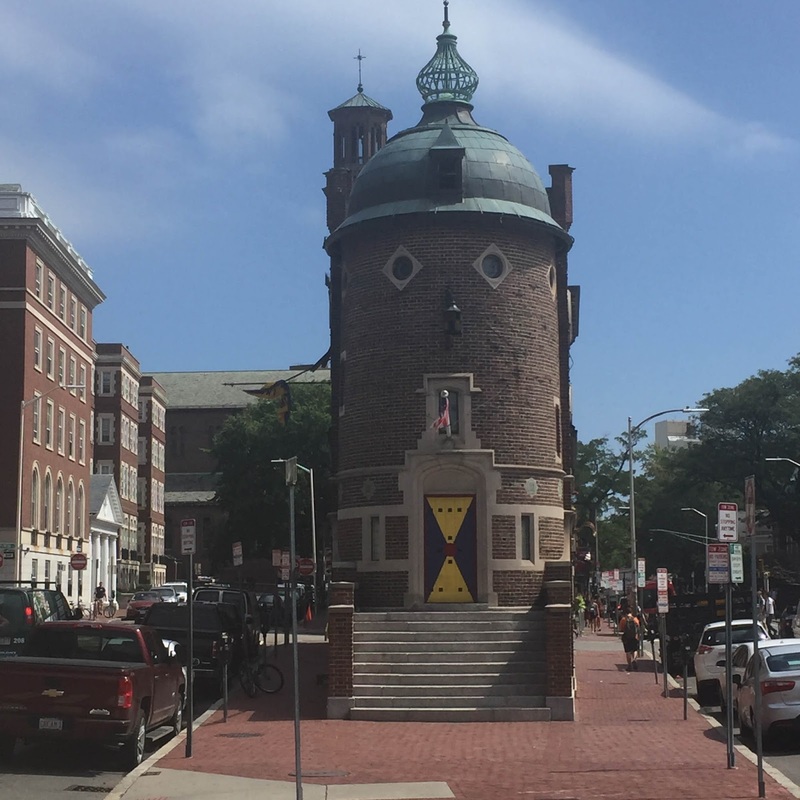 I had no idea there were quite so many educational facilities in Boston. Happy A to Z! I do remember Paper Chase – and almost considered law school (for about two weeks and then I came to my senses). 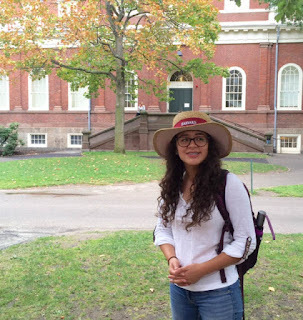 The tour made the visit to Harvard far more interesting! I considered Boston College 🙂 My brother actually went to Tufts and New England Conservatory, but I never had the opportunity to visit him while he was in school. Boston is probably THE American city representing education! I'm currently watching "Suits", a lawyer series about a guy who works for a law firm, and successfully so, without having attended Harvard as he claims to have. 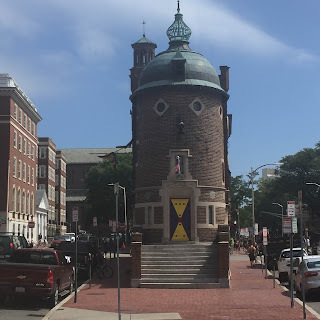 As a Bostonian I fit the bill with ties to two educational institutions – Simmons College where I got my Library Science degree and Harvard where I'm employed. My children get their education in the excellent Boston Public Schools. As you can tell by my A-Z theme… I fell in love with your fabulous city. I'd love to hear a native's comments on the places I only had a chance to briefly visit. I love hearing what visitors think of Boston. I give tours of Boston as a hobby so I'm very proud to show off the city. My husband got his MBA from Boston University but didn't attend one class on campus! We were overseas in the military living in Belgium and he was a part of there overseas campus, which only lasted long enough for him to get his degree, then they closed down the program. Great school, though! I'd love to hear more of your overseas adventure in Belgium! You give tours?! How would one register for one of your tours, if say, one were to return to Boston for another extended stay?